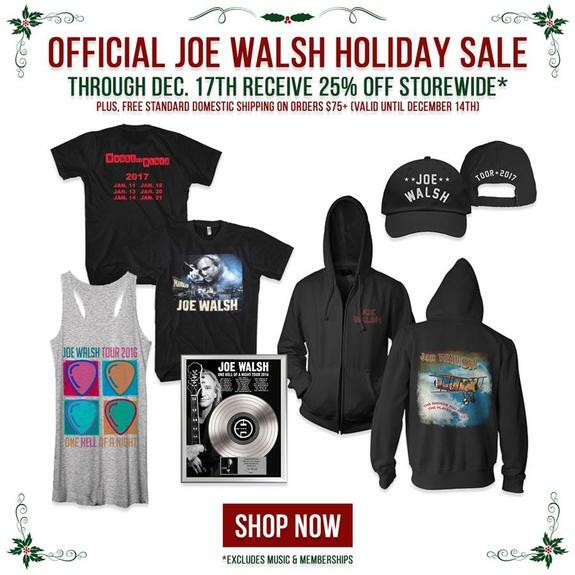 Shop the Official Joe Walsh Store and receive 25% off your entire order! Also, spend $75 or more and receive FREE standard domestic shipping. Sign in to your fan club account before checkout to receive an extra 10% off!